Every accomplishment, the realization of every dream, begins with the same roots: a collection of ideas, a desire to achieve, and energetic people. So the Russian Community Centre of Vancouver was formed and established. 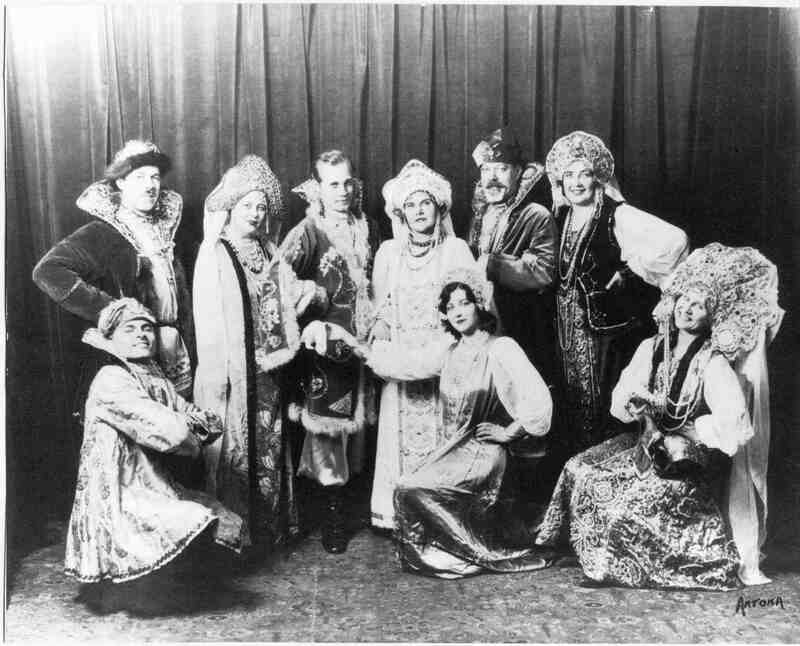 In the early years, between 1953-54, a small group of Russian immigrants formed a drama group under the direction of Mr. Makovkin. They presented plays at various halls in the City. As the group grew, they realized that a more permanent facility was required for rehearsals and performances. At the same time, it became evident that there was a need for a social centre to unite Russians from the different Churches. They rented a hall over an East End Vancouver hotel and soon held social dances every Saturday night as well as four major performances per year. They were known as the Russian Centre of British Columbia and had between 40 and 50 members. In 1956 Mr. E.A. Andreev was elected as the first president and a constitution was drafted and registered in Victoria. Later this organization became known officially as the Russian Community Centre of Vancouver. In 1958, the group searched in the Kitsilano area for a suitable building and acquired the old Kitsilano Theatre under an agreement with Famous Players that it would no longer be used as a movie house. The membership collected $10,000.00 in donations for the down payment and freely donated their time and labour on weekends to revamp the building. It took 6 years to complete the renovations which included enlarging and raising the stage, rewiring the entire building, ripping out all the theatre seats and reflooring the main hall. This task united the membership with a purpose. They were all working towards a common goal. The men would start working early on Saturday morning, and the ladies would arrive later with food and refreshments. At the end of the day, they would gather together to talk about the progress and what was to be done next. At that time the hall was completed, there were regular functions and activities at the RCC. There were performances of the Balalaika Orchestra, Choir, Dance Group, children's language school; there were bazaars, concerts, plays; lectures and talks of Russian literature and history; there was a published bulleting containing upcoming events and activities as well as stories and poetry published by RCC members. It was a very intense and active period for the RCC, and became the central focus of the lives of most of its members. By 1969, membership was dwindling and the Board of Directors came to the conclusion that people had lost their enthusiasm for the club. It seemed like the same people were running things and fewer and fewer people were coming to help or even attend the functions. The hall had to be rented out just to pay the bills. As a result, a suggestion was made to sell the building. Negative response to this statement was so strong that it was no longer necessary to rent the hall. Former members signed up again and membership grew from a meager 49 to 160. Thus began a new phase of interest in the Russian Community Centre. The Multiculturalism Program provided by the Provincial and Federal Government in the 1970's also helped fund many of the activities at the RCC. This gave tremendous incentive to groups like the Russian Centre to start programs which promoted their culture. These programs are still running today, and a new generation has been passed the torch to carry on the activities of the RCC.